ground into the face and eyes. Also includes UV dye. 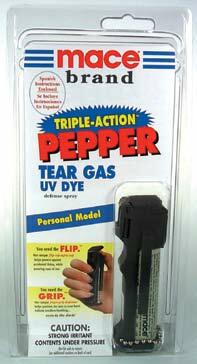 High powered model is ideal for home, dormitories and RV's. Our largest unit features flip-top safety cap. 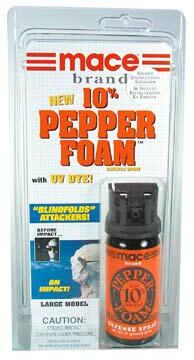 120 gram unit, full cone fogger sprays up to 8 feet. Contains 38 one-second bursts. Belt clip makes this unit ideal to use while walking or running. 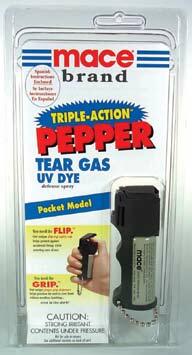 Features flip-top safety cap, finger-grip dispenser, belt clip and key chain. 17 gram unit sprays 8-12 feet. Contains 10 one-second bursts. POCKET MODEL Compact size fits comfortably in woman's hand. 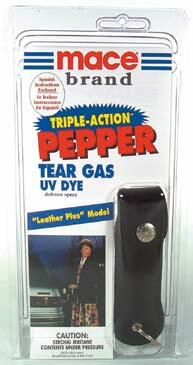 Features finger-grip dispenser, flip-top safety cap and key chain. 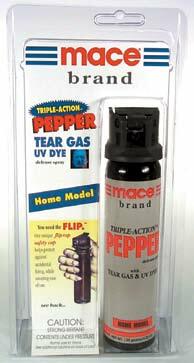 11 gram unit sprays 6-12 feet. Contains 5 one-second bursts.